Millennial rancher Karoline Rose waits patiently while a website design she created loads onto the internet. Her home in Toston, Montana doesn't have a broadband service provider, so she's using her Verizon hotspot — a costly business expense she can't afford not to use. 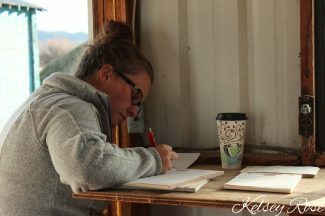 Rose is the owner of KRose Company, where she works as a cattle procurement officer in seven sale barns, as well as runs marketing campaigns for several ranches and small businesses in the area. Her business focuses on logo design, website design, sale preparation, social media, advertisements and getting her clients connected with new customers. "My business relies on good service," said Rose. "Not only do we need to watch video sales on the computer, which requires phenomenal internet, but we also do website and logo design and maintain social media accounts online, which require internet. A ton of time is spent using the internet to reach our ideal customer. Additionally, the KRose Company has a team of employees, and we get online frequently to have team meetings." Rose is one of many in rural America who need to stay connected through high-speed broadband internet access in order to be successful in their businesses. 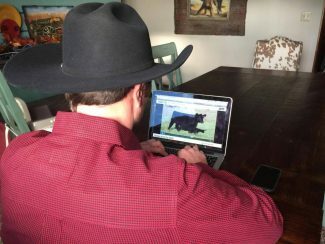 Since she's unable to get connected at her home, she often drives to her family's ranch — KRose Cattle Company — to use the family internet plan. "I'm spending $250-300/month on my Verizon hot spot, and that's with me using it very conservatively," she said. "My other option is to use the ranch connection, but we are using 50 gigs as a family, and the service is very slow. I can also drive 30 miles to town to work there, where I have access to much faster wireless." Her frustrations grow as her internet lags, making her job a slow process and impeding her from serving her customers as quickly as she would like. Consistent access to high-speed rural broadband would allow her to be more efficient and productive and, as a result, would allow her business to grow. "If we had viable internet service, it would take our business to the next level," she said. "We would be able to connect with our customers better and respond to things quicker. We heavily rely on instant communication in this day and age, and if we could find a way to improve rural internet access, we would be able to live our life more by our design." 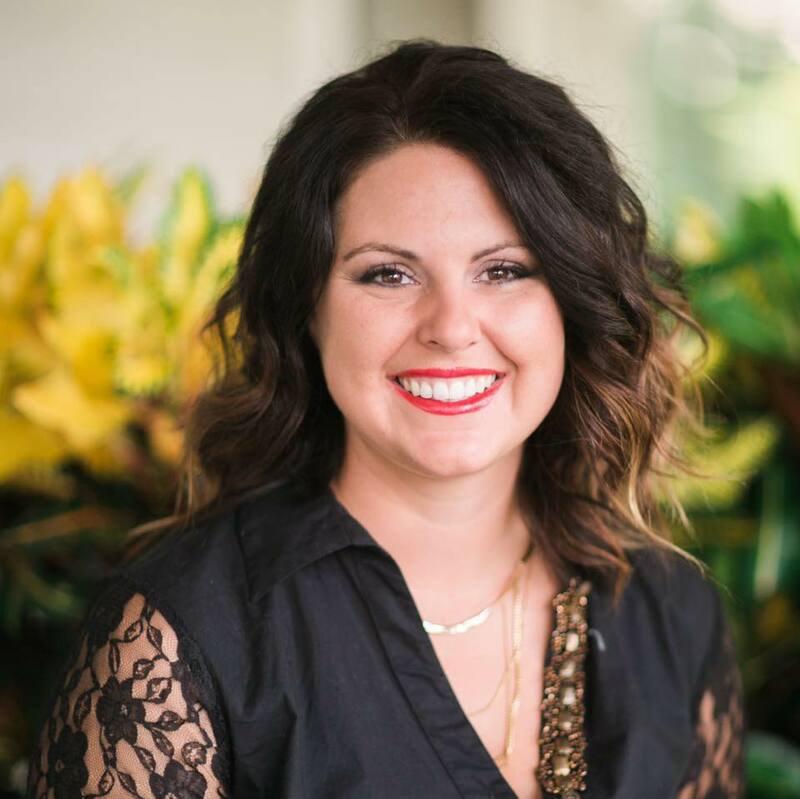 Lacey Caffee, of Wessington Springs, S.D., is another millennial working in the agricultural industry. She owns LC Promotions, a livestock videography, photography and promotional business that takes her to remote pastures across the country, where she works to promote upcoming cattle sales and events. "I use the internet every day whether it's on my phone, or uploading pictures, videos or graphics to be printed," said Caffee. "I need to be able to upload pictures and videos quickly, so my clients can have them right away. If the internet is slow and times out, then I have to start all over again. I pay for a faster internet connection at my house. My biggest struggle is when I'm uploading videos in hotels when I'm traveling for work. Many times the internet is slow, and I'm approaching deadlines, and it makes it hard to get files in on time." Caffee often plans her workdays around locations she knows will have high-speed internet access available for her to get her job done. Otherwise, accomplishing her tasks in a timely fashion becomes quite cumbersome. "Usually, I have to plan to be home or somewhere that I know I can upload my videos," she said. "It would be great if the internet offered was better. Our phones and computers have surpassed what is offered by internet companies and using data from a cell provider is often faster than the internet in a lot of places." Ranchers trying to buy cattle via video auction, schools trying to use multi-media platforms in their classrooms, small businesses attempting to run online websites, local banks allowing for digital banking — small communities in rural areas are greatly impacted by low-performing internet access and are at a great disadvantage because of these limitations, compared to people in urban areas who enjoy high-speed internet access. This digital divide is of great concern to many in rural communities, particularly in light of proposed regulation that would further cripple rural broadband access. James E. Prieger, former Federal Communications Commission (FCC) economist and Professor of Economics and Public Policy at the Pepperdine University School of Public Policy, has spent years working in the telecommunications industry and is concerned aboutt the FCC's proposed changes that would be a detriment to broadband access and business data services in rural communities. "Business data services are vitally important to the economic health of businesses and other users, rural regions, and the national economy," said Prieger. "The FCC has stated that promoting investment in business data services is one of its core goals. Despite that claimed intention, the FCC has proposed potentially drastic rate cuts to be imposed on business data services provided in areas the Commission perceives to be 'noncompetitive,' which are largely rural areas." Consequently, the regulations have the potential to destroy the investments, cripple maintenance of existing broadband companies, and deplete future service and expansion of high-speed internet in rural communities. Prieger says that for each dollar of investment discouraged by regulation costs the economy up to three dollars in lost output. "The FCC's proposed price regulation for business broadband will have a major impact on available revenue in rural markets – as much as $1.4 billion or more," said Prieger. "The lost opportunities for revenue will lead to less broadband investment for the communities that need it most – slowing deployment and hurting economies that need help competing." Prieger, and others who understand the importance of connectivity in rural America, are working to stop the regulation from passing by voicing their concerns and explaining to the FCC how detrimental this legislation would be to rural communities. "Using regulation to destroy the returns to an economic activity the FCC states it wants to encourage makes little sense," said Prieger. "Do not tax what you want to encourage. There will be several detrimental impacts from the forgone investment. Rural businesses will lose out on potential productivity enhancements. Each job lost from the lack of investment costs the economy 1.4 to 3.6 jobs, half of which would have come from small business. While some proponents of regulation claim that imposing price regulation on business broadband would promote 5G wireless networks, price regulation is a step in exactly the wrong direction. Everything possible should be done to encourage investment in business broadband capacity to support the growth of next-generation mobile wireless networks." For rural community members who are paying astronomical fees to obtain high-speed internet, at first glance, the proposed legislation sounds like a good idea. After all, who wouldn't want a price cap on a business expense? However, the proposed regulation has a domino effect, with the bulk of the damage falling squarely on small businesses in rural America. regulation without giving adequate time to study the likely effects. The FCC should pause long enough to consider the consequences of the proposed regulation, allow industry and other interested parties sufficient time to investigate the repercussions, and make a wise choice." Rural America wants to compete, and in order to thrive, high-speed broadband internet access must be readily available; only by communicating with elected officials about the potential devastating issues these proposed regulations could cause will the FCC be persuaded to rethink their current course of action.